A Clear Alternative to Braces! The eCligner treatment process is easy and the advantages are numerous. Once Dr. Shunnarah determines that you qualify, we will use digital technology to provide you with a visualized report of what your results will look like, including your lip and profile changes. Dr. Shunnarah can also give you an estimated time of how long you will wear the aligners before your ideal outcome is achieved. Depending on the severity of your concerns, treatment periods range from three months to a year. eCligner treatment involves wearing a custom-made set of clear aligners. Although these aligners are made of thin, flexible plastic for your comfort, they have the ability to gently move your teeth into ideal position over time. You can expect to visit us every three to six weeks so that we can monitor your progress and give you a new set of aligners as needed. 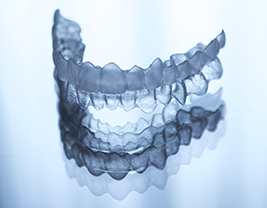 Discreet – eCligner aligners are thin, clear and molded to your teeth. This makes them virtually invisible to others, a highlighted advantaged for teens and adults. Fast – In general, eCligner can move teeth faster than traditional orthodontics. Many patients notice results after only a few weeks! Convenience – The convenience of using eCligner is unrivaled. Not only can patients remove the aligners to eat, drink and brush, but there are significantly fewer appointments involved in the treatment process. Effective – eCligner is a proven orthodontic therapy for a wide range of common orthodontic concerns. At any time during your treatment, Dr. Shunnarah can make adjustments or corrections to your therapy. 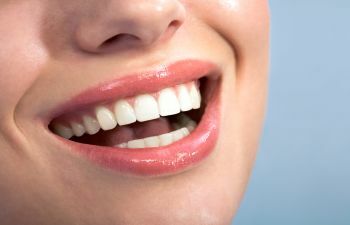 eCligner is 100% digitally produced, which makes it a highly precise and predictable solution to straighten your smile. Ready to learn more about how modern orthodontics can fit into your lifestyle? Contact our office today to schedule your consultation with Montevallo’s leading provider of eCligner clear aligners today.